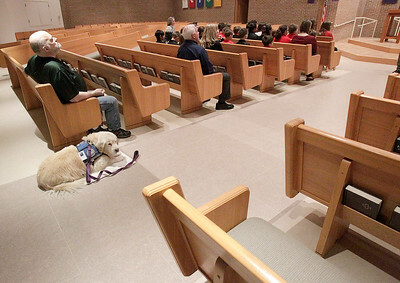 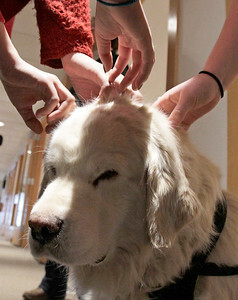 Butter, a 10 year old golden retriever, garners attention before church service on Ash Wednesday, Feb. 10, 2016 at St. John's Lutheran Church in Algonquin. 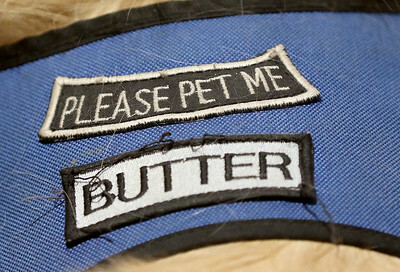 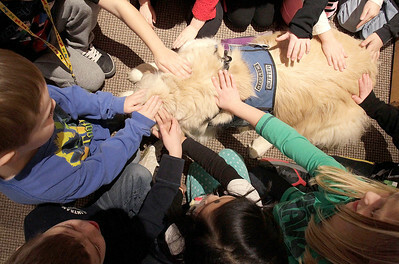 Butter belongs to the church as part of the Lutheran Church Charities' K-9 Comfort Dogs program. 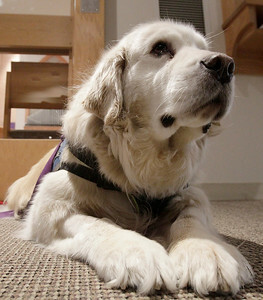 She was one of the first few dogs in the program when it began shortly after the 2008 shooting at Northern Illinois University. 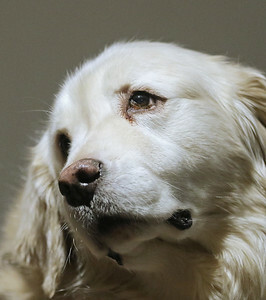 Butter is undergoing chemotherapy for bone cancer and recently had one of her back legs amputated. 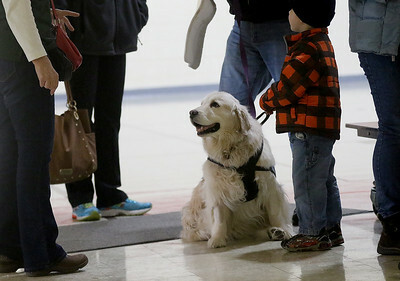 The Greater Fox Valley Chapter of USA Dance is hosting a fundraiser for her, with funds going toward Butter's living expenses.